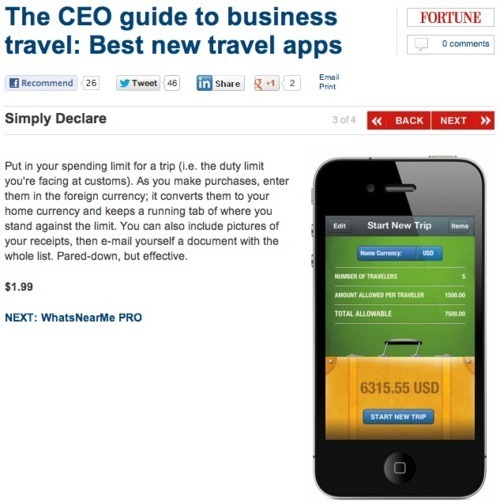 Simply Declare (client) developed by Rae Mapey just got featured on CNNMoney as the #3 Travel App on the App Store. Simply Declare is a remarkable App that allows users to keep a track of their travel purchases for better duty declaration purposes back int their home country. You can get Simply Declare from here and try our incredible marketing packages from here. A very proud moment. Congratulations to Simply Declare!